LET US WRAP YOUR GIFTS!! 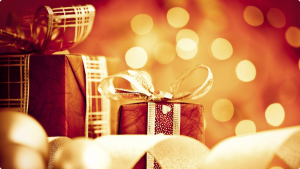 For the 14th season, The Arc of Gaston County will be wrapping your gifts for donations! BOOTH HOURS/LOCATION: 12/21, 22, & 23 from 10 am – 9 pm each day. We will be inside Eastridge Mall on the Upper Level just outside the Belk entrance. This initiative not only helps us to raise money to support citizens with developmental disabilities in our community, it allows our volunteers to share information about The Arc and their experiences. We have invited Special Olympics Gaston County to partner with us and look forward to this opportunity! THANK YOU TO EASTRIDGE MALL FOR BEING OUR COMMUNITY PARTNER THIS CHRISTMAS SEASON!